Wednesday, October 31, 6:30pm. Purple Room, Multicultural Hub, 506 Elizabeth St, City (opposite Victoria Markets). Organised by Australians for Kurdistan. Some 40 million Kurds live in the Middle East, mainly in Turkey, Iran, Iraq and Syria. In each of these four countries today the Kurdish people face enormous challenges in their struggle for freedom and a decent life. 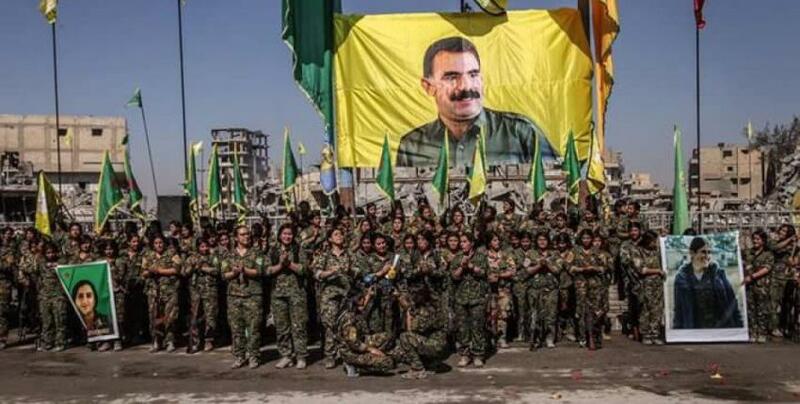 In Syria the inspiring Kurdish-led democratic, feminist Rojava revolution in the northwest is under threat, from Turkey and from the Assad regime and its Russian and Iranian backers. In Turkey, the Kurdish population faces a ruthless dictatorial regime, held together by the glue of a savage anti-Kurd racism. Kurds in Iran endure savage repression at the hands of the brutal Islamic regime. Kurdish activists fighting for freedom and democracy routinely face torture and execution. And in Iraq Kurds in the Kurdistan Regional Government area are saddled with a corrupt, repressive neocolonial regime dependent on Turkish support. Social inequality is extreme. Here in Australia, since 2006 both Coalition and Labor governments have criminalised the highly progressive PKK (Kurdistan Workers Party) to curry favour with the deeply reactionary Turkish regime as well as locking up many Iranian Kurdish refugees in the Manus and Nauru hellholes. Speakers: John Tully (historian, AFK activist) will look at the problems facing the revolution in Rojava; Suheyla Ahmed will discuss the repression faced by the Kurdish population in Iran and the movement of resistance; Fionn Skiotis (AFK activist) will address the government’s renewal of the ban on the PKK. There will also be a speaker from the Kurdish Democratic Community Centre of Victoria. This entry was posted in Australia, PKK, Rojava, Turkey by AFK. Bookmark the permalink.